The VikingCycle Ragnar is the combination of both modern aesthetics and basic protection in a motorcycle vest,giving riders who hold nothing back. The front and rear of the Ragnar vest is reinforced with extra padding,perfect for riders who may get a little dangerous on the roads. Exterior and interior mesh features allow riders to stay as comfortable as needed on the bike,no matter what season is in full swing. This also pairs nicely with thicker grundies during the winter,so no need to fear about becoming too cold. 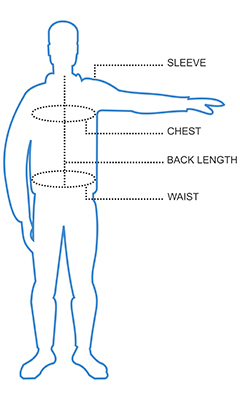 A zippered front closure keeps the Ragnar vest tight to the rider's body. Front pockets use the same zippered system to maintain security for the rider's valuables. Protection for the little items. Adjustable Velcro straps are positioned conveniently on the bottom of the Ragnar vest,so riders can pair their favorite outfits or better contour the vest to their bodies. Padded cells on the exterior of the Ragnar vest are both stylish and protective. A unique yellow outline gives the sleeveless jacket a highly visible appearance when night riding. The Ragnar does an exceptional job at keeping riders safe,comfortable,protected and looking fearless on the road,no matter what season Queensland is experiencing.